Recent and current Beatles related CG projects. Animations of The Beatles Revolver sessions in Abbey Road Studio #3, 1966 for the 2nd episode of the 8-hour PBS music series Soundbreaking, produced in partnership with legendary Beatles producer Sir George Martin. 3D virtual sets for the musical play LIVE AT ABBEY ROAD appearing at The Royal Albert Hall in London. 3D multi-media for several national Beatles Tribute acts. Renderings for lectures by authors and Beatles experts, two of which held in Abbey Rd Studio #2.
illustrations for three different Beatles book in produciton. Abbey Road Studio #3 control room 1966. 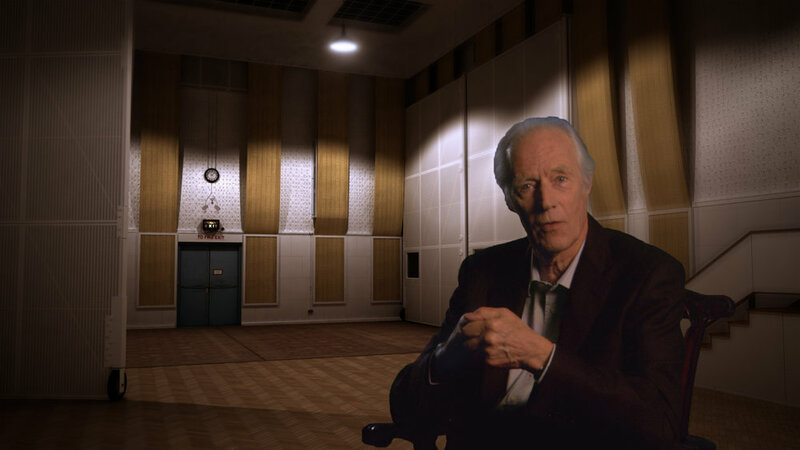 Sir George Martin green screen - CG Abbey Rd Studio #1 circa 1964. For the PBS documentary Soundbreaking: The History of Recorded Music. Animations for PBS series "Soundbreaking". | Control room - 01:15:50. | Studio #2 - 01:16:15.